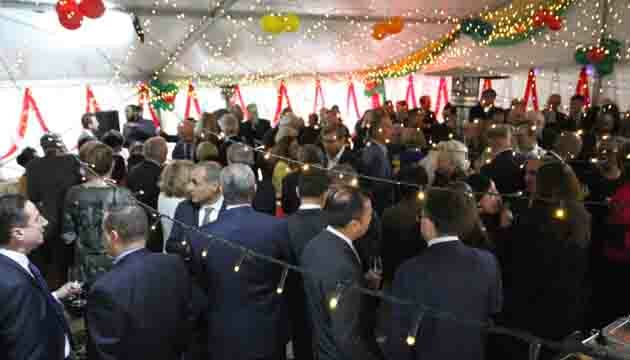 26 March 2019, The Hague: As part of ceremonies to observe the 48th Independence and National Day of Bangladesh in the Netherlands, a Diplomatic Reception was hosted by the Embassy of Bangladesh in the Netherlands at the Bangladesh House in The Hague. 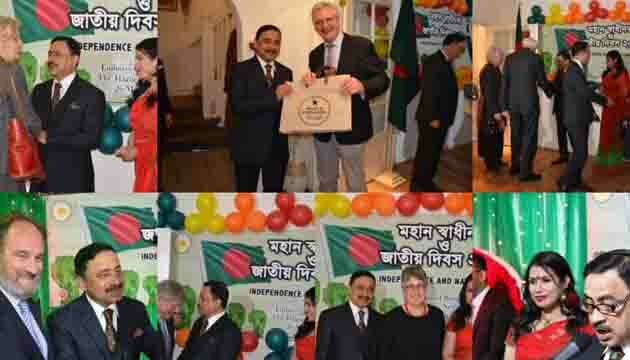 Decorated with traditional decorative items, posters, banners and green and red flowers, Bangladesh House enjoyed the presence of a large number of guests, comprised of local dignitaries, diplomats, academics, scientists, judges of the international courts, and a cross section of members of media, and Bangladeshi diaspora in the Netherlands. Red carpet was rolled out as a symbol of Bangladeshi hospitality and the entrance was adorned with colourful flowers. Guests enjoyed an evening of Bangladeshi music, food, and a free flowing discussion on ‘Think Bangladesh’. 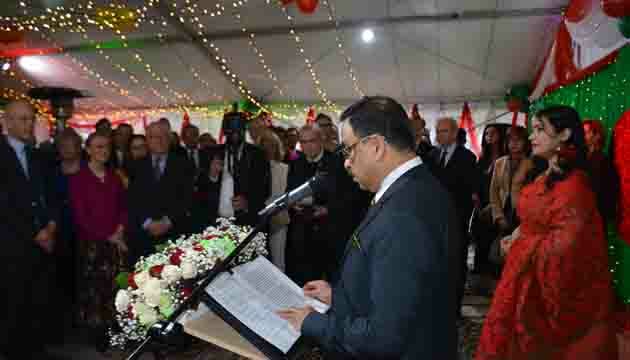 At the outset, Bangladesh Ambassador to the Netherlands Ambassador Sheikh Mohammed Belal paid tribute to the Father of the Nation Bangabandhu Sheikh Mujibur Rahman whose courageous, dynamic and visionary leadership led Bangladesh to her independence in 1971. He also paid tribute to the three million martyrs who made supreme sacrifices for the sake of the country. Ambassador Belal highlighted how Bangladesh has been sailing through prosperity since our independence in realizing the Father of the Nation’s dream, a “Sonar Bangla- Golden Bengal”- hunger-free, poverty-free and deprivation-free Bangladesh under the visionary leadership of Prime Minister Sheikh Hasina. 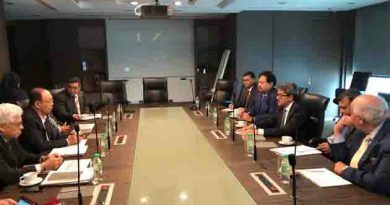 He also thanked the Bangladeshi community living in the Netherlands for their contributions to strengthen the economic and commercial ties between the two friendly countries. He also requested them to further connect Bangladesh and the Netherlands through sharing Dutch innovation and creativity and their experience achieved in different sectors. On behalf of Dutch Government, Ms. Reina Buijs, Director-General International Cooperation of the Ministry of Foreign Affairs of the Netherlands delivered her remarks. 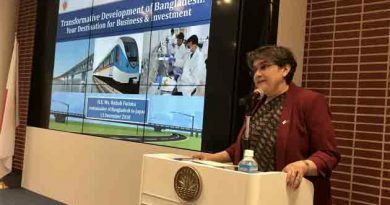 Ms. Reina Buijs congratulated Bangladesh on this happy occasion and highly praised Bangladesh for her rapid economic and social transformation, especially in the last decade. She highlighted the areas of existing mutual cooperation and emphasized on implementation of Bangladesh Delta Plan 2100, water management, agriculture, etc. as the areas of cooperation between Bangladesh and the Netherlands in the coming years. 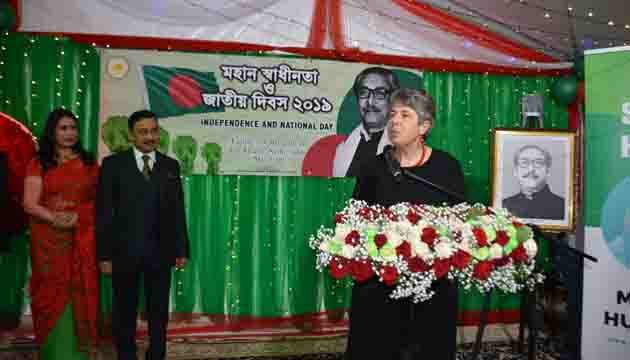 On behalf of the Dutch Government, Ms. Reina Buijs commended Bangladesh for her outstanding position towards humanity. 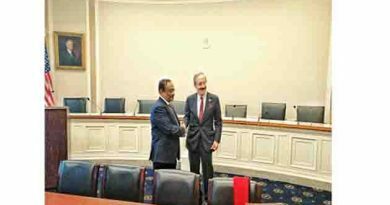 She acknowledged with deep appreciation that Bangladesh provided shelter to millions of forcibly displaced Rohingyas. She assured that the Netherlands will stand with Bangladesh to resolve the crisis. Patriotic songs were played in the background while documentaries showcasing “Beautiful Bangladesh” were screened throughout the program. 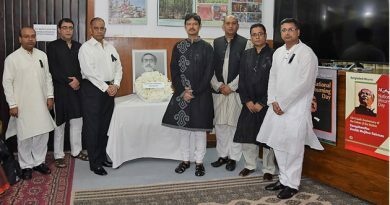 Earlier, in the morning of 26 March 2019, Embassy officials along with family members and members of Bangladesh community attended the program organized at the Embassy premises on the occasion of the 48th Independence and National Day of Bangladesh. They rendered national anthem following authentic tune followed by ceremonial flag hoisting and recitation of messages of Hon’ble President, Prime Minister, Foreign Minister and State Minister for Foreign Affairs issued on the occasion of the 48th Independence Day and National day.